Have you ever ridden in a poncho? When I visit a new country I try to immerse myself in the horse culture choosing to ride in the traditional tack (even if a English saddle is available) and dress in the clothing that is inherent to that region. It makes sense that the horsemen have perfected their riding attire over generations based on the climate. This is why I choose to ride in a poncho when globetrotting through South America. I’m not familiar with the poncho’s history and if it originates from Chile or Argentina, needless to say its synonymous with South America and its horse people that navigate its terrain. I first appreciated the poncho, which I might add is ridiculously simplistic – a blanket with a hole in the middle – when I was riding in Torres del Paine, Chile. This vast, remote country with cranky mountain ranges and deadly glaciers can be freezing in the summer months. I rode alongside the baqueanos who are the pathfinders in these parts. Weather-beaten horsemen mounted on the stocky, trusting Criollo horse have been mustering sheep in these parts for generations. They work in hail, snow, sleet, rain, wind and their poncho is as essential as their horse. So there I was – ice moustache, red nose, body shakes dressed in my ridiculous new-age Gore-tex jacket being penetrated by the wind and rain. What a stupid gringo I was. Since that fateful trip where I was lucky to escape frost bite, I’ve had a woollen poncho strapped to my saddle ever since. A poncho makes sense, weaved from the natural fibres of wool, taken from the sheep that inhabit this region. A poncho falls over your saddle protecting your legs and arms from the rain. 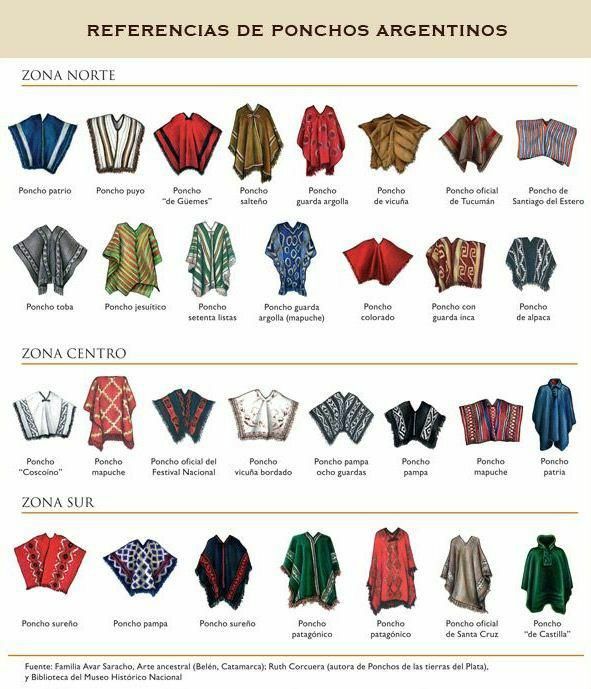 There are fifty billion types and styles of ponchos that you can purchase in Argentina and Chile. Depending on the region or provence will dictate the fabric and style of the poncho as you’ll see above. Buy yourself one and you not only have an all-weather riding coat but you acquire a keepsake of your travels. When you stop for your saddle-bag packed lunch you can use your poncho as a picnic blanket. Win-Win. At night when there is a blistering wind, you can spoon with your poncho for extra warmth. When the temperature rises you can easily roll up your poncho and strap it to your saddle. Lightweight and easy. Are you sold on the humble poncho? 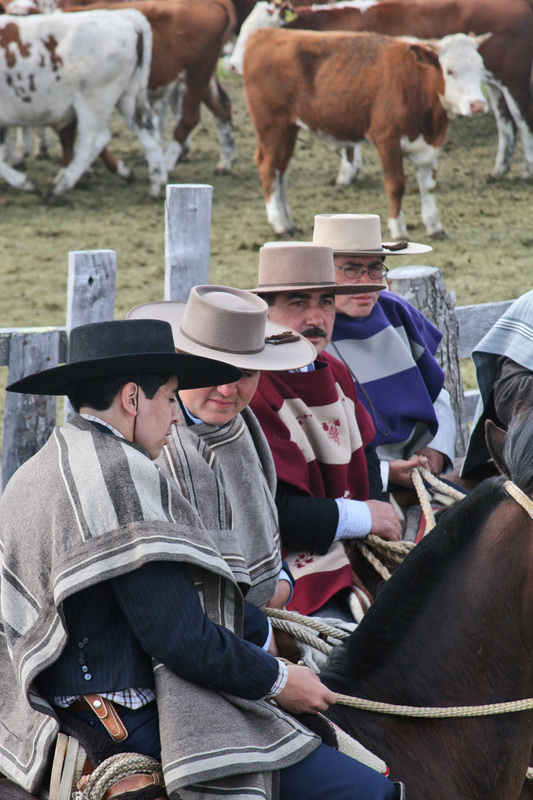 I must say, I’m a big fan of the riding attire engineered by the uber stylish Argentineans. In previous blog posts, I’ve sung the praises of the Argentinean riding shoe, alpargatas and the riding pants known as bombachas. Thank the lord for the Argies or I would of been subjected to a life of wearing ill-fitting jodhpurs.